Arriving at this remote part of the world one can’t help but feel in the midst of an agricultural enclave that could be anywhere in Mediterranean Europe. Pine trees, dry at the beginning of autumn, dust the roads and sway to the wind. Sheep and cows wander the green pastures, the electrified fences in the vineyards designed to keep them in, not out, of the properties for they are valuable fertilizer. We see flocks of colorful green and pink parrots flying over and perched on tree branches, the local version of a “pest”. The soil is terracotta red, bright and moist after the morning rain. Layers of granite in the soil’s profile force the grapes to dig deeper for nutrients in what we are told is the right balance between stress and struggle which makes the Margaret Region’s soil so gifted to high quality wine production. Driving along the quiet countryside roads we spot a group of kangaroos joyfully resting on a field. Gum trees, so typical of Australian landscapes, quickly remind us we are in fact in an up and coming part of Western Australia fortunately graced with fantastic oceanic climate perfect to grow grapes. Vineyards are far and few in between, the majority of the landscape is flat and covered with thin forest, bushes and cattle. Life happens at a different pace in the Margaret River Geographical Indication. But behind all this apparent sleepiness there is a thriving winemaking region that may be as young as some of the New Latitude Wine Regions but has quickly gained status as a premium wine demarcation. It was not until the late 60s that the first pioneering winemakers and romantic businessmen set their minds to planting vines. A study released by J. Gladstone in the mid 60s is credited with bringing this successful model to a predominantly milk farming area of Australia. After the older brother, the Swan Valley, now 180 years old, started to experience pests that threatened its survival Gladstone suggested that Margaret River would be well suited for Bordeaux style grapes and wines for its soil and climate conditions would grant it cool nights, warm days and the very favorable conditions thanks to its proximity to the sea. Gladstone is considered the Father of the Margaret River winemaking business and the reason why the region has flourished to today’s levels. The border delimitation to the East is what has been called the Gladstone line, an imaginary line that he drew in his study. With the study out, Thomas Cullity decided to embrace the new crop and started planting vines in 1967 thus becoming the founding winemaker of the region. He named his property a combination of two words. Vasse, after the name of a French explorer who abandoned the Mothership off the Cape Naturaliste coast and disappeared on land never to be found. And Felix, the Latin word for luck, in the hope that he would be in better luck than the French explorer. However, the first crop did not seem to predict such fortune. The parrots ate the fruits and it was not until 1972 that Vasse Felix released its first commercial Cabernet Sauvignon and Chardonnay vintages. At first, Cullity tried to combat the parrots with falcons. He trained and released the larger birds in the hope that they would prey on the smaller parrots only to see them fly away. A dreamer, an experimenter and a genius creator, perhaps as much as today’s Vasse Felix winemaker, Virginia, awarded the Best winemaker by Food & Wine Magazine and a reference in the region for her very strong opinions and commitment to only the best. Talking about the Margaret River winemaking industry is talking about the founding five wineries: Vasse Felix, Leeuwin, Cullen, Voyager and Cape Mentelle all of which produce premium wines from beautiful properties. The Vasse Felix Estate sits in the original property, among the oldest vines and newer ones planted to replace experimental varieties, like Riesling, that were part of the original plantings but were not believed to be the top quality that Vasse Felix is looking for. After a portfolio expansion over the years Vasse Felix has launched a new brand architecture that focuses on its main strengths and wines. A visit to any of the founding wineries also means a trip down family lines. Of the original 5 founding wineries, 4 of them are still managed as family businesses. Cape Mentelle is the only one belonging to a holding company, LVMH. It is not surprising that it is precisely this winery where we were greeted with the most professionalism and also shown the highest state of the art machinery. Originally founded by Honen, it was later sold to LVMH. Honen then started a new winery just down the road, at McHenry Honen. He is also known for founding Cloudy Bay in New Zealand, famous for its Sauvignon Blanc and, to those living in Singapore, for being a staple name in restaurant wine lists and supermarkets across the island. 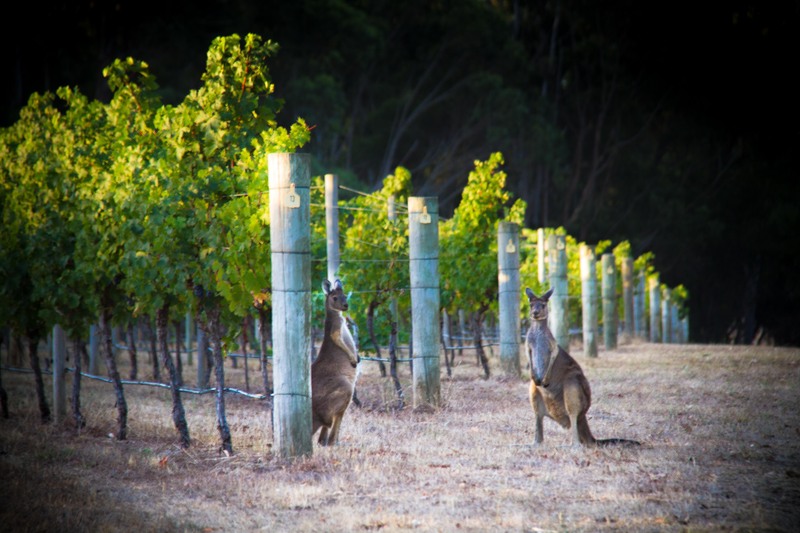 Cape Mentelle is set in a beautiful valley and surrounded by fenced old vineyards where you can even spot kangaroos relaxing on the vegetables seeded in between the rows of vines. The vineyards are fenced with wildlife corridors in mind and with the view of inviting sheep to grace for a month after the harvest season ends, in the middle of the Australian autumn. These sheep will feed on the vegetables and herbs planted and naturally fertilize the soil. It is a beautiful integration of the region’s dairy farming roots and today’s winemaking focus. Tourism is the other main source of income for the region. In front of the stately cellar door at Cape Mentelle there is a large lawn that is used to project movies during the summer months, 100 movies in 2015, no less. Guests can enjoy food and wine and a fabulous setting under age-old trees. The winery has very advanced machines that cannot be found anywhere else in Australia like a an Optimal Berry Sorting that comes from the recycling industry and is able to automatically identify with a laser all of the imperfect grapes and MOG – matter other than grapes – and remove them at the speed of 4,000 kg per hour. This must be a pretty cool piece of equipment to see in operation, Rob’s, the Cellar Door Manager, excitement and explanations about the region and the history of the demarcation are as enlightening as contagious. Cape Mentelle’s status as part of the large LVMH family goes unnoticed. For the visitor, the property and the wines feel as authentic and local as they did when they were owned by Honen. The team is friendly, the Estate Director, Cameron shares the ins and out of the region and the winery with us and even offers to take us to the real Cape Mentelle to see the waves crushing against the cape and the fabulous views in his 4WD. We couldn’t have asked for more of a complete experience into the region’s founding history than Rob’s knowledge coupled with Cameron’s hospitality. Did I mention their absolutely delicious, educational and personalized wine and food pairing degustation? A real master class in wine and food matching. At Cullen, biodynamic and organic certified wines should be enjoyed in the outdoor terrace flanked by rows of vineyards. The restaurant serves food with as much a focus on the environment and well-being as the wines. Its Bordeaux style Diana Madeline Cabernet Sauvignon and Kevin John Chardonnay, named after the founders, are consistently rated as one of the top wines in Australia. Their premium price, over the $100 even at the Cellar Door, guarantees that only the highest rated grapes and wines are used for this collectors’ piece. Diana and Kevin Cullen were dairy farmers when Gladstone published his report and they decided to transform their property with the help of Vanya, their daughter and today’s winemaker. I felt that their philosophy was very different than the rest of the very pure and clean wineries. Here the wines are left to express themselves. They are not cleaned and the properties of the vines and soil are transferred, raw, to the wines. Perhaps this is why they felt more full of character to me than any other wine labels. 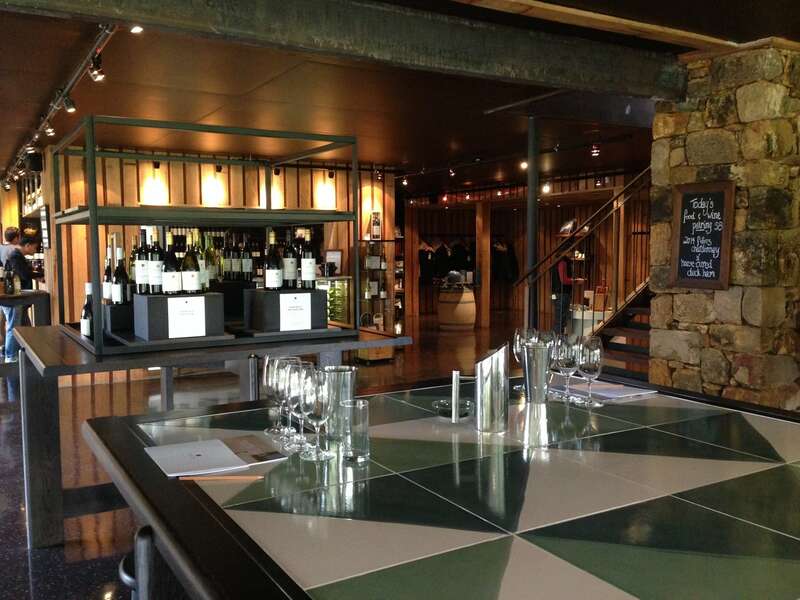 At the Cellar Door we are helped by an extremely knowledgeable Frenchman whom we discover later is an awarded sommelier that used to work in the restaurant world in Sydney before coming to the Margaret River. His French roots bound well with the property’s more genuine freedom of expression. The main building feels like being in someone’s home. Far from the modern decorations of other places Cullen is homey, familiar, soft and relaxed. Think large sofas and a fireplace that will come in handy as soon as the cold rainy winter settles in. Like popping in a friend’s house for tea. 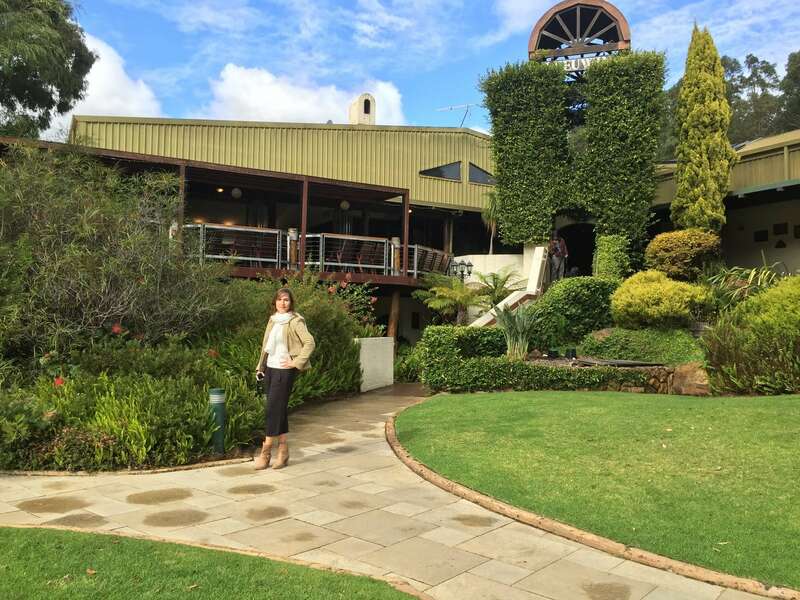 Cullen Wines is one of the few wineries that offers accommodation in its Homestead. On to Leeuwin Estate the approach is much the opposite. We drive down a long and windy private road through lawns, green grass and a few trees. The Estate is at the end of the driveway a couple of kilometers away from the turn off a secondary road. This is truly detached from the sparse civilization of this part of Australia. 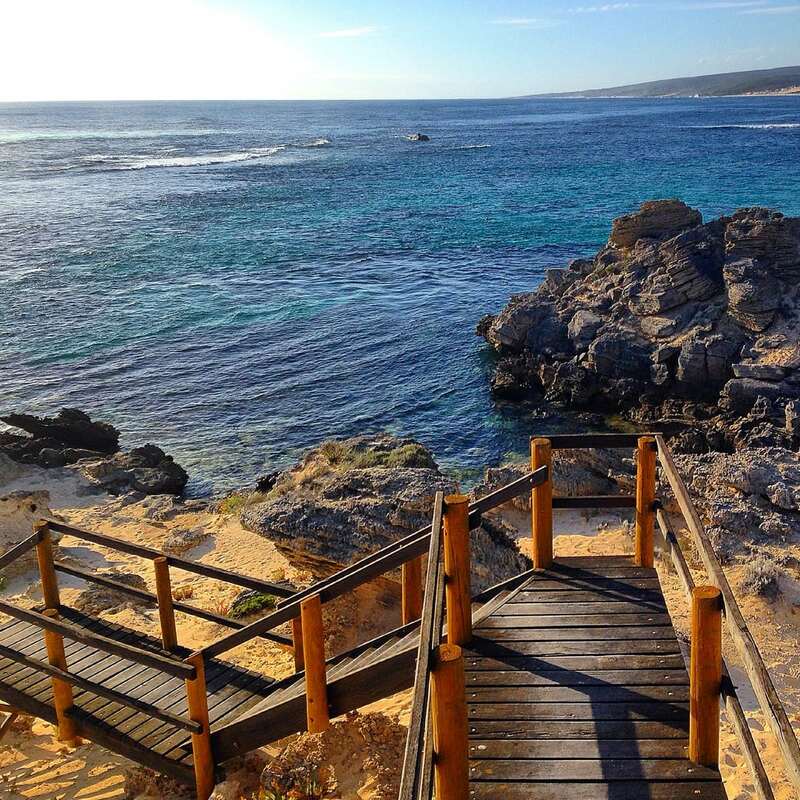 Perth is one the world’s most remote cities and so Margaret River, 3h away, and Leeuwin, at the end of a private road off a small country road, feels like a hidden paradise. The restaurant, the only one open for dinner in the entire area, serves fine dining by an awarded chef and prides itself in cooking food that pairs well with the wines in what the winery considers a joint team effort. From the elevated restaurant, we can see two layers of trees that surround the Estate which block the view of the vineyards behind. The gallery in the basement of the building is a testimony to the founder’s willingness to showcase local Australian Artists in its Art Series wine that is labeled with these works of art. The story of the winery started with the same Gladstone report and a visit by Robert Mondavi, from Napa, in the 70s, that helped Tricia and Denis Horgane put together the winery. This is a well ran operation fully managed by the second generation of Horgan’s and their management team. It feels like a well-oiled machine working as an efficient business where passion and knowledge are a match made in haven. While we wait for our tour to start we are shown a few videos where the founders talk. Their passion for the land and for the region is clear in their faces, something only possible to express when you have seen something as important as a new wine region grow from scratch. But Leeuwin is also a much more structured and formal operation of a larger size than the other wineries. This has forced them to move into automating some parts of the wine making process like harvesting. The professionalization of the Estate is apparent in the number of staff and their specialization. The day we visit there is a large Charity event hosting shy of 200 people where they expect to collect a quarter of a million to donate to charities. The founder is there and we can see him rehearsing lines. Leeuwin also organizes very famous concerts every summer with a renowned international artist line-up. This is the only property with a formal helipad and a private airstrip able to land small planes. They are both used for private and corporate events where guests are fetched from Perth and dropped in the quiet countryside for a day of tours, wine tastings and delicious food in a relaxing setting. The premium jewel of the region is Voyager, well-known for its focus on the highest range of wines. They produce one of the smallest quantities with only 30,000 cases a year. 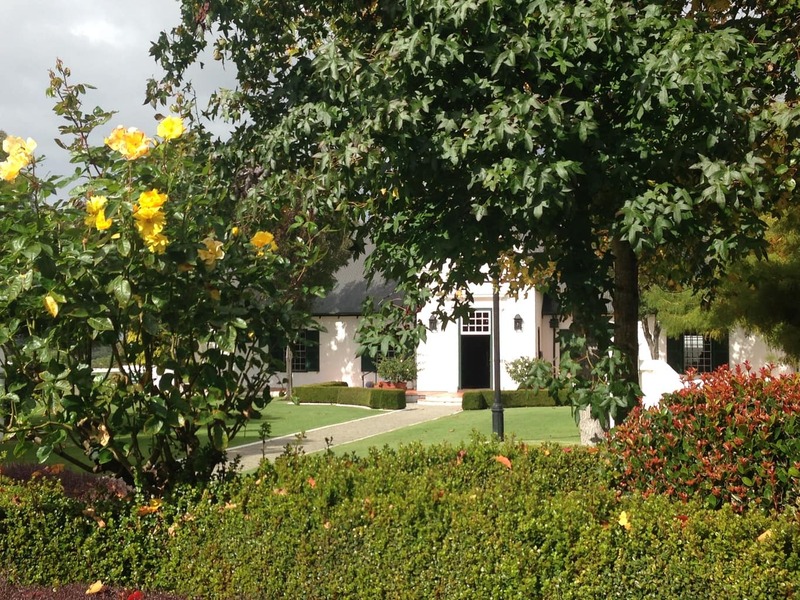 The Estate’s architecture takes after South Africa’s Cape style with Dutch farmhouses and lots of roses. The Estate gardens employ 6 full time staff taking care of the flowers, gardens, bushes, trees and the private rose garden. We tour the property onboard an old 4WDR car adapted to carry about 10 guests for a tour of the vineyards and the winery. We even get to sample some of the young vintage wines for the year. James, shares a lot of knowledge on the property as we talk champagne and sparkling wines. Voyager is one of the few wineries in the region that releases a range of bubbly made following the Methode champenoise. Aside from perfectly manicured gardens Voyager is home to a powerhouse from the 1800s that used to power a ship from the British Army. It was refurbished and used in the Estate to power the winery’s fridges, used to maintain the grapes at cool temperature before they are processed. This is another piece of the wine making process that I had only seen in New Latitude Wines where temperatures hit above 35 Celsius levels. It is chilly as we wander around the property but I can’t help but imagine that even in the summer, Margaret River does never get so hot. The level of precision in the winemaking and viticulture in this region, and at Voyager in particular, is striking. The soil is mapped, water irrigation is perfectly controlled, vineyards are planted having the moon, the sun, the wind and everything else in view. It helps that Voyager lays, together with Leeuwin and Cape Mentelle, in the Halliday’s Golden Triangle where Margaret River’s best soil can be found. Voyager also invests time and effort into experimenting with their project wines which test new methods, grapes, soil and combinations. 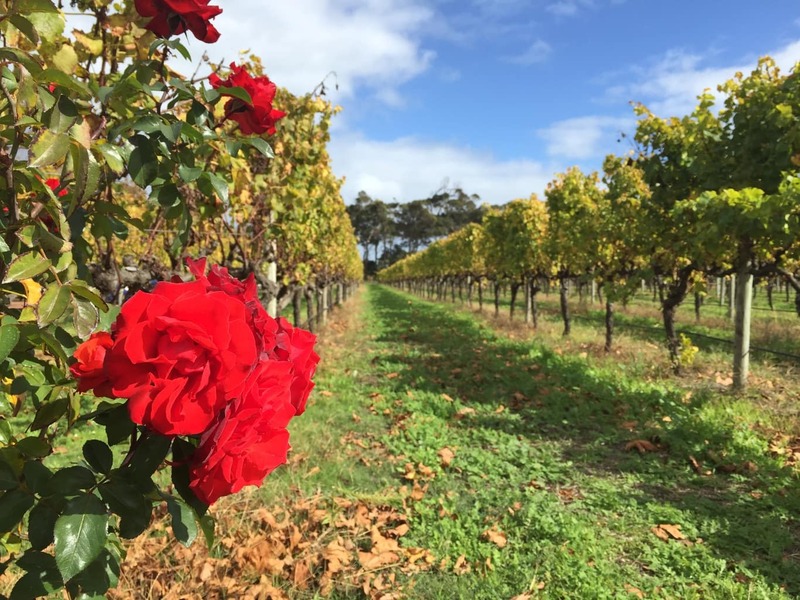 Through all our visits there is something that is priced with making Margaret River such a successful wine region by all winemakers, viticulturists and wine connoisseurs: its consistent weather and, hence, vintages. Having grown up in a predominantly agricultural part of Spain and in a farming family I understand the headaches and risks of being dependent on inclement weather and unpredictable rains or temperatures that may spoil an entire year’s worth of work. 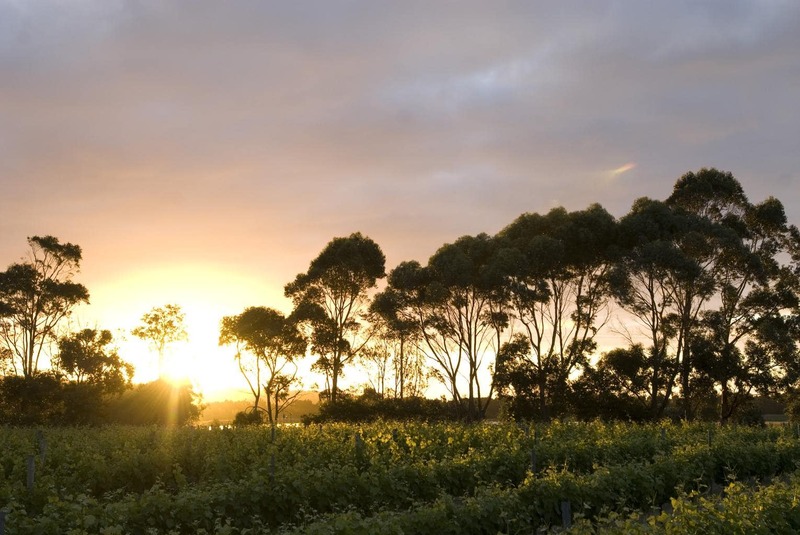 Margaret River would be a farmer’s dream: an area where the weather is stable, where climate is predictable and where bad vintages do not exist. An exceptional Bordeaux vintage is a bad year in Margaret River, we are told. Yet there is also the other half of me who thinks that it is precisely the wildly unfathomable conditions, the variable terrain, the gift of nature, whether it is a blessing or a punishment, that lends wine its unique character. Through the possibly 50+wines I tasted over a 3 day period I could sense, in almost all the wines, a purity and cleanliness of palate that removed the natural elements of the grapes. As if they had been made in a lab. It is not just the consistent vintages but the winemakers’ obsession in the area to pursue purity and cleanliness. Grapes are hand picked, sorted, they are selected by hand, they are washed, matter other than grape is removed, even the stems are taken away from the whites in some cases. The final raw material used to make wine is as perfect and hygienic as the crystalline ocean water where the surfers catch waves, only a few kilometers away. It is possibly a matter of preference. The wines were all excellent, but through the perfectionist approach of most winemakers in the area to use only the purest grapes I felt as if the region’s soul had also been filtered out. It may be the Old World person in me longing for the spiders and little snails that ended up in the tanks at my dad’s winery to be added back as a representation of nature’s character in this quiet yet wild coast of Australia’s Southwest. Margaret River indeed deserves its premium denomination for its efforts to produce fabulous wines have achieved a scientifically proved superiority and wine collector status that others wish they had but I would like to see some more wildness and imperfection in the final product. Scroll Designed & Development by G Social Designs.